Panoramic views of the Rocky Mountains and located close to High River, Okotoks and 18 minutes to south Calgary. This stunning 6 Acres is perfect for those looking for the peace and quiet of the country, but want to be near the city. Easy access to HWY #2. This property is fully fenced with gate access at new approach, short walk or horseback ride to Alderwood Community Park which houses a new kids playground, riding area and baseball diamond. Call today to learn more about this exceptional opportunity. 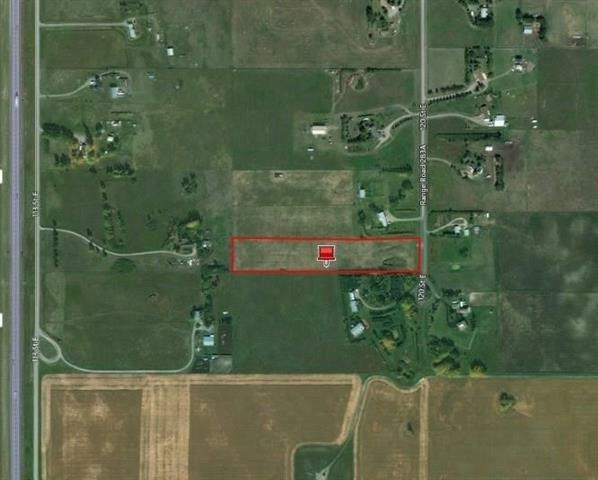 From Highway 2, turn East onto 466 Ave (Mazeppa Road) to 120th Street, 3rd acreage on West side of 120th. Land is fenced and has an approach.